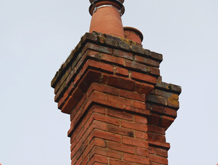 Local NACS Registered Professional Chimney Sweep since 2003 serving Berkshire & South Oxfordshire. 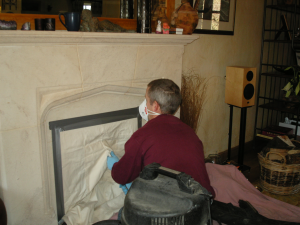 We are a well recommended professional chimney sweep company based in Reading Berkshire and have a good local customer base with annual repeat business. We sweep chimneys in all types of properties; both domestic and commercial chimney sweep work undertaken. 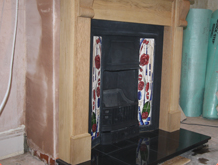 We sweep chimneys all year round and our prices are very competitive. We work using a tidy, clean system using modern techniques to ensure minimal disruption and we always clean up thoroughly. As you would expect your fireplace is left cleaner than when we arrive! We pride our timekeeping and customer service so we only book in a limited amount of jobs per day to enable a thorough, quality, non-rushed job and so we are punctual throughout the day. 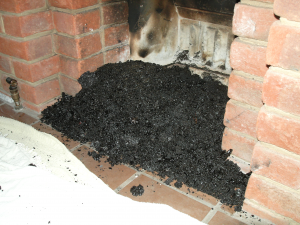 We are a reliable chimney sweep company in Reading, Berkshire and do not let you down. 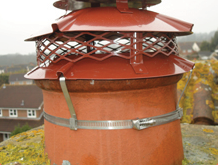 We remove birds nest and can fit bird guards to prevent them re nesting. We always carry out a free smoke draw test on every chimney sweep and visual checks to ensure your chimney is working correctly and safely. Waste from sweeping your chimney is collected and removed cleanly in our professional, specialist, commerical vacuum cleaner. 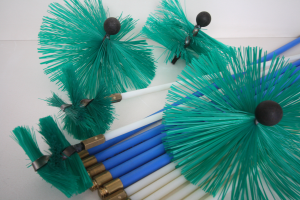 We carry different grade & size chimney brushes and rods for every type of flue and chimney. 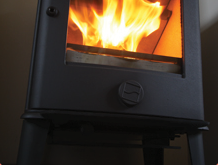 In addition to sweeping tradition chimneys and open fires, we are very good at sweeping and servicing wood burning or mixed fuel stoves. Being NACS registered means we are fully insured, can issue certificates for house insurance. We attend various courses related to chimneys and appliances, which helps when giving advice and solving chimneys problems.